Adblock Browser for Android is now available in beta form using the Google+ Community method - they've also got a direct APK download on the Community page. 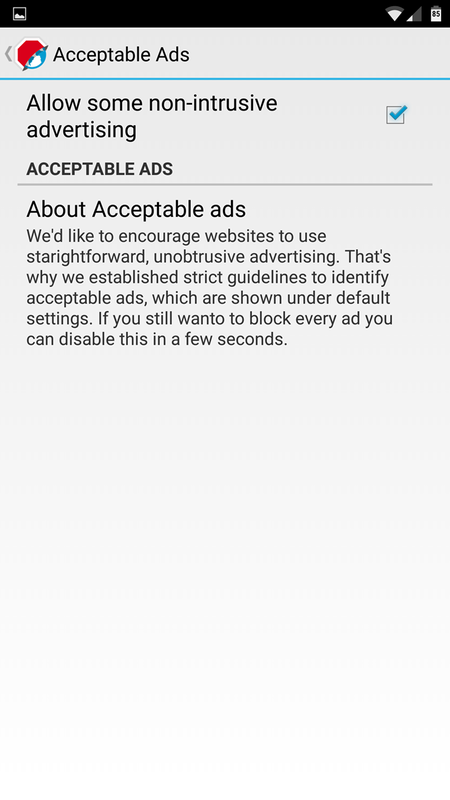 Upon installing it you're given a quick introduction to the company's business model: it blocks "intrusive" web advertising by default, leaving "acceptable ads" in place. What's an acceptable ad? According to AdBlock's own guidelines, they're static, non-animated ads that never obscure page content, don't appear in the text area, don't require scrolling to get past when placed in a header, and don't take up more than a third of horizontal space in a page. 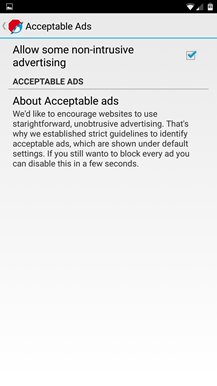 This isn't an automatic process: companies can submit their advertising platform and/or websites to AdBlock to be reviewed, and AdBlock will then selectively block only the ads that they find fault with. Some companies have to pay to be put on this whitelist, which is a very controversial issue for content creators. 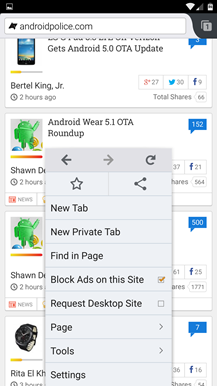 If you've tried any of the alternate Android browsers, Adblock Browser might seem familiar, and it should. 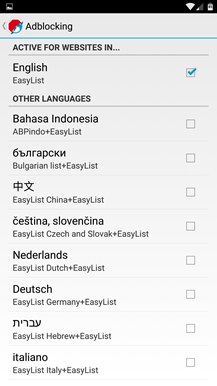 The code is based on Firefox for Android, which is published as an open source app just like the desktop browser. Most of Firefox's existing features appear to have been carried over with the notable omission of extension support. 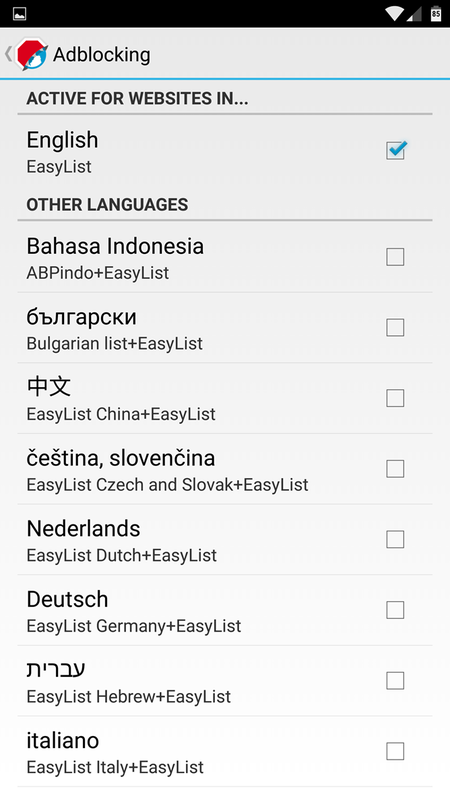 According to the press release below, Adblock Browser will be available in the Play Store at some point. 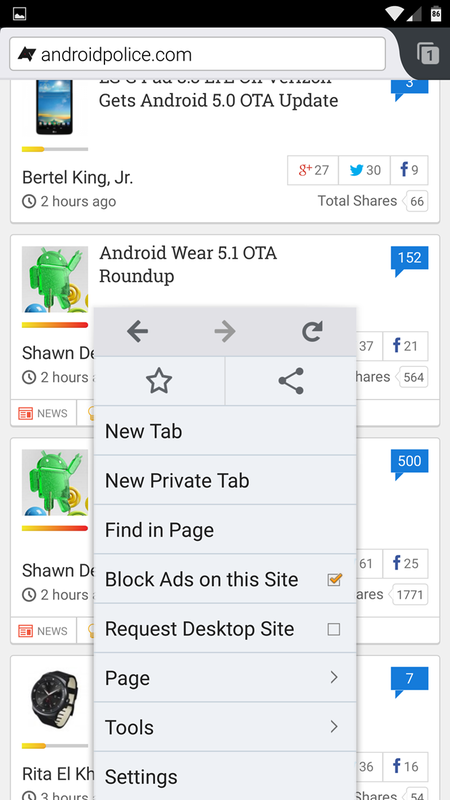 COLOGNE, Germany--(BUSINESS WIRE)--Adblock Plus, the #1 most popular browser extension for blocking annoying online advertisements, today announced the beta launch of Adblock Browser for Android, the first foray into a more complete mobile ad blocking solution. The new browser will block annoying ads automatically, saving users battery life, keeping them safe and handing them control while they’re on the go. 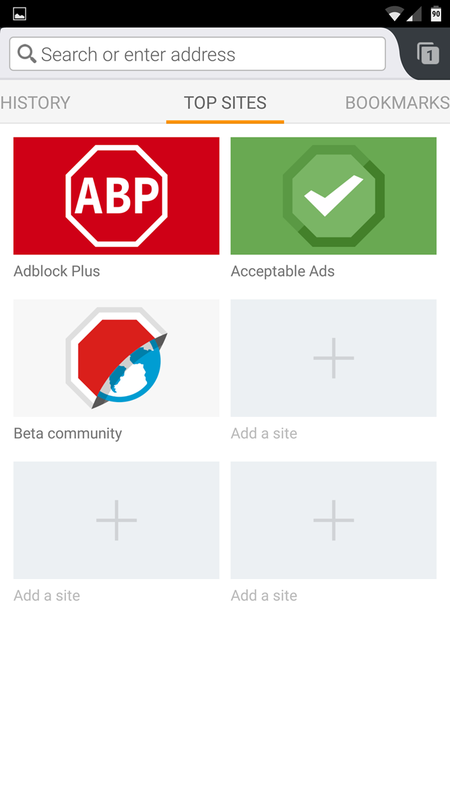 Automatic adblocking - This is the first browser of its kind to offer users ad blocking as an integrated feature. As more users block ads on their desktop, many are finding little value in the ads served on their phones and tablets. A study by PricewaterhouseCoopers from last year found that most mobile ad clicks were accidents. Automatic ad blocking in a browser app is the crucial first step in a complete mobile ad blocking solution. Fast, efficient browsing - Ads cause pages to load slower and can consume 23 percent of your battery. 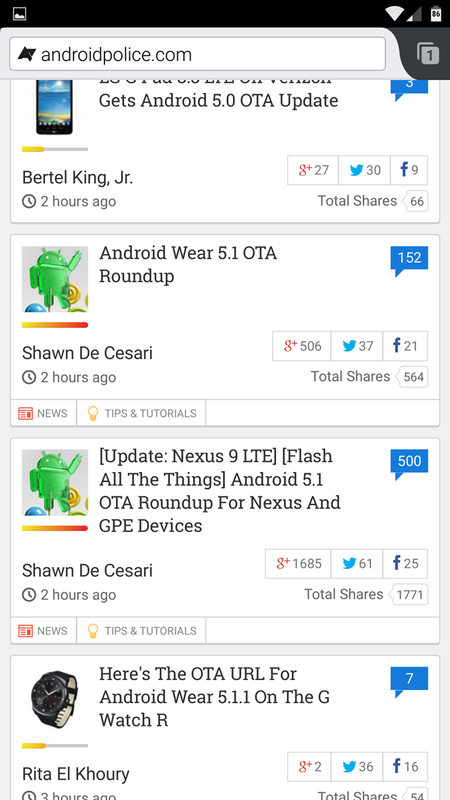 Loading ads also costs data, so blocking them on your mobile browser saves you on your data plan. Safer browsing - Malware often hides behind ads, even on trusted networks. Blocking annoying ads reduces your risk of infection, and Adblock Plus has been recommended by Stanford University, UC Santa Barbara and the Electronic Frontier Foundation. Total control - Annoying ads are always blocked, but users can encourage better ads by allowing nonintrusive ads to display. 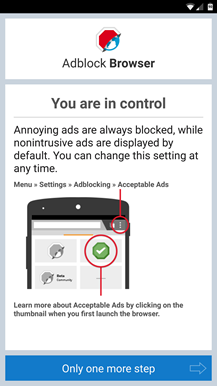 Users can change this setting at any time by simply tapping the Menu icon > Settings > Acceptable Ads. From there, just click the red “Join” button on the righthand side. Once you’ve joined go to “About this Community” and click the “Beta Opt-In.” There you can get exclusive access to the beta, install it and help us test it.